The Friends of the Chippewa Falls Public Library serve the community in a non-profit setting by meeting with other people interested in libraries to plan and sponsor library activities. The Friends organization formed over a decade ago. In addition to their many hours of service, the Friends have helped the library with the money they have raised. Purchased the hardware for the library’s first electronic database. Donated time to help with the library’s conversion to the barcode system. Bought an overhead projector for library use. Acquired other equipment and furniture for the library. Sponsored children’s programs and summer reading club activities. Hosted an open house after the library was re-carpeted. Make sure to select “Friends of the Chippewa Falls Public Library” when you shop using amazon smile to ensure that 0.5% of the purchase price goes to the friends. 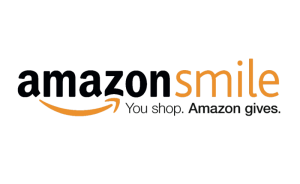 AmazonSmile is a simple and automatic way for you to support the Friends of the Chippewa Falls Public Library, at no cost to you. Amazon will donate a portion of the purchase price to the Friends of the Chippewa Falls Public Library when you shop. Your Annual Membership contribution is tax deductible. Saturday Bag Sale: First Bag $5.00, Second Bag: $3.00. All sales will be held in the Virginia O. Smith Meeting Room. All meetings are at 6:30pm in the Virginia O. Smith Meeting Room.